You’ll probably think I’ve crossed over to the bad side when I start suggesting that you put beans in desserts. I don’t blame you – not so long ago I would have thought the same. I grew up with a mother who insisted on putting tofu into every dish (sorry if you’re reading this, Mummykins) so am heartily aware that there are limits on what people will accept in desserts. That said, I’m a big fan of pulses when it comes to making sweet treats. Not only are you eating a wholefood that provides nutrients (hello iron) but you’ll feel full afterwards and won’t get that dessert sugar slump. And you won’t taste the beans, honestly. 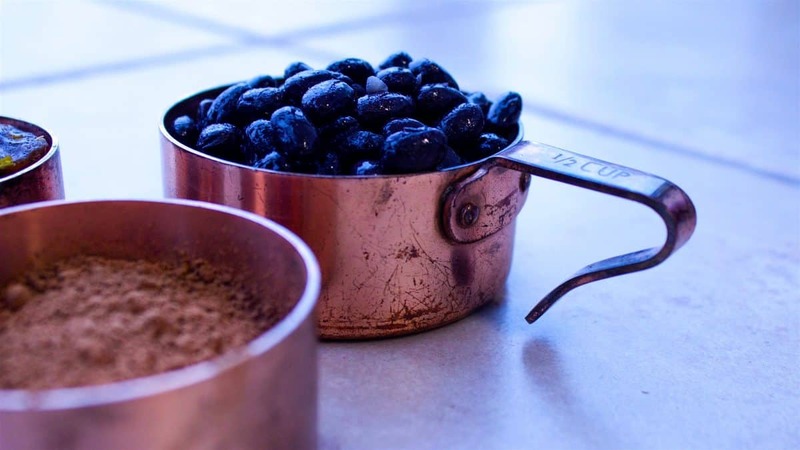 Take Minimalist Baker’s Black Bean Brownie recipe: beans are the overwhelming ingredient but all you taste is chocolate, and you’re filling yourself up with a high-quality protein in the process. This chocolate orange pudding is quick to make and doesn’t require any setting/baking time, but it does need a high speed blender (to ensure you don’t end up with unprocessed beans). One other point to mention is that coconut butter is different to coconut oil – it’s made from the flesh of the coconut and is more creamy. If you can’t find it (most healthfood stores and some grocers will sell it) you could use coconut oil, but the results will be much better with the butter. Add the beans, water and dates to a high-speed blender and process until smooth. 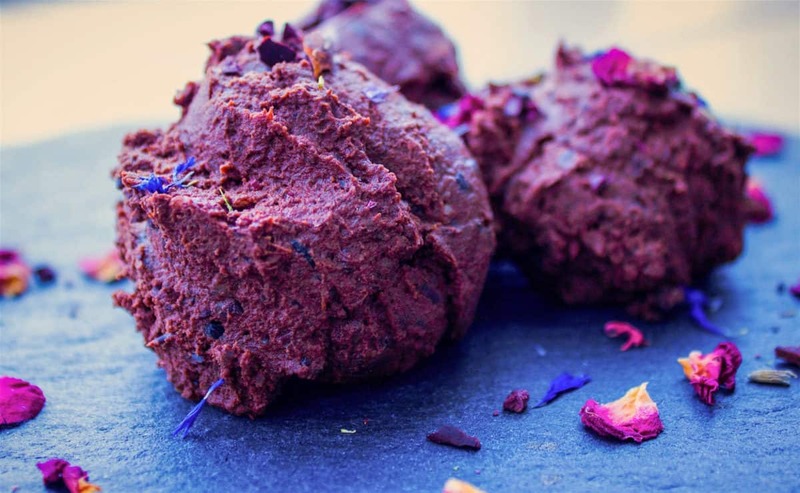 Add in the remaining ingredients (except the flower petals) and continue to blend until combined. 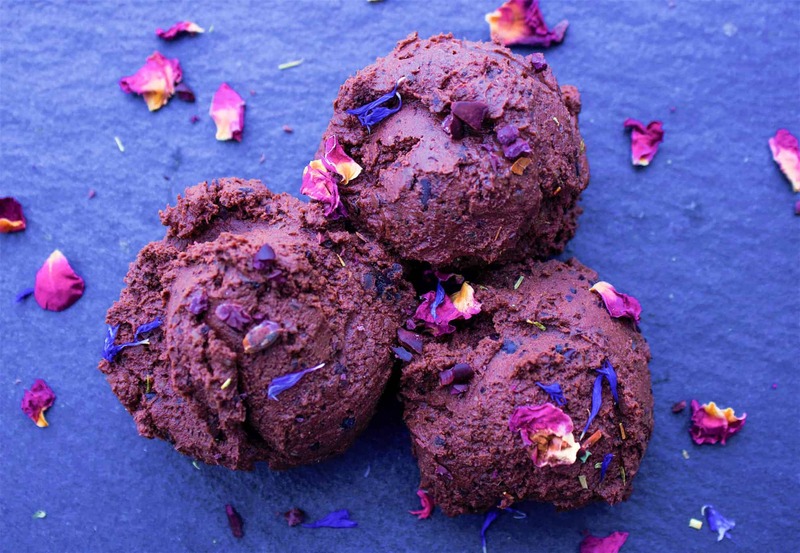 Using an ice cream scoop, spoon balls of the mixture onto dessert plates and serve scattered with dried flower petals.